A fitting end to a marvellous season and everyone at the club would like to congratulate both on their, well deserved, awards. 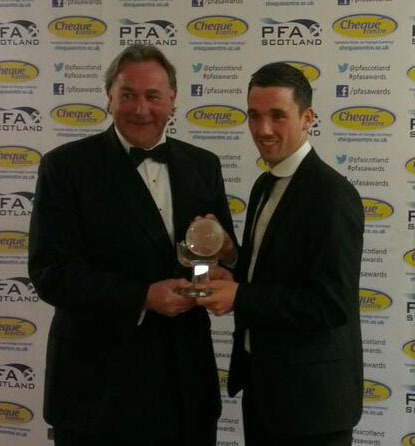 Nicky Clark receives his award from 53 times capped ex Scotland keeper, Alan Rough. 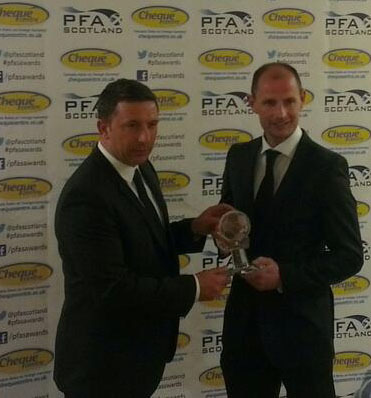 Allan Johnston receives his award from another ex Scotland internationalist like himself, current Aberdeen Manager, Derek McInnes. 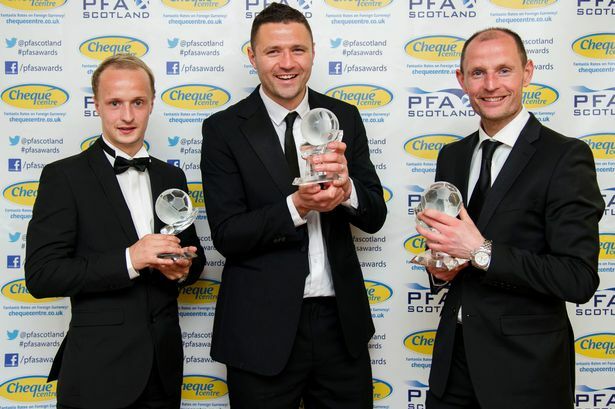 PFA Scotland Young Player of the Year, Leigh Griffiths (Hibernian), Player of the Year, Michael Higdon (Motherwell) and Manager of the Year, Allan Johnston (Queen of the South). Clark becomes the fourth QoS player to win this award after Jimmy Robertson (1980/81), Andy Thomson (1991/92 & 1993/94) and John O`Neill (2001/02). For the divisional player of the year award won by Clark, Danny Carmichael was also on the shortlist along with Steven Doris and Andy Jackson. The others on the short list for the Manager of the year award were all from the SPL, Terry Butcher (Inverness), Neil Lennon (Celtic) and Stuart McCall (Motherwell).